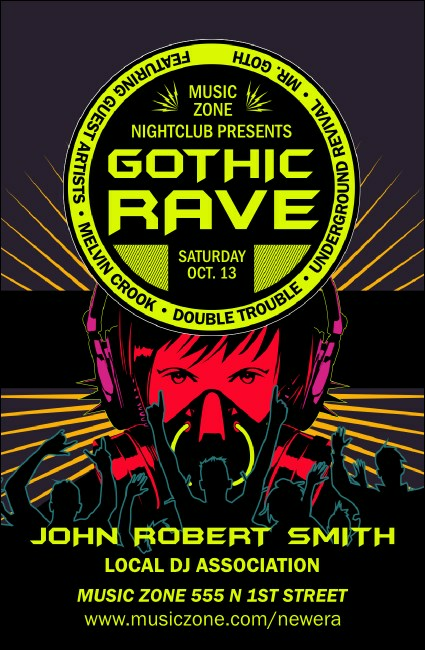 Embrace the darkness and the music with the Goth Rave VIP Event Badge Small. Illustrated in glowing red and purple, a cyber DJ looks out at a dancing crowd. Outline event particulars and VIP perks using this template’s twelve available text lines. Dance ‘til dawn with TicketPrinting.com.